Chadwick “Chad” Williams is a Gastroenterologist and Inflammatory Bowel Disease Specialist at the Dartmouth General Hospital in Dartmouth, NS. 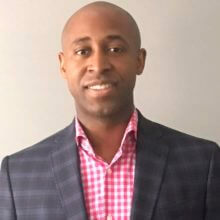 Dr. Williams completed his Bachelor of Science and Medical degrees at Dalhousie University prior to leaving to complete Internal Medicine residency and Gastroenterology residency at the University of Calgary. Dr. Williams completed an Inflammatory Bowel Disease fellowship at Cedars-Sinai Medical Center, Los Angeles, California. He currently holds faculty appointments at Dalhousie University and Memorial University of Newfoundland and is a member of several organizations including the Royal College of Physicians and Surgeons of Canada, the Canadian Association of Gastroenterology, the American Gastroenterology Association.